There are a few things that you will want to consider when you are buying your new yogurt maker. One of the most important considerations that you can make before you go out and purchase a yogurt maker is the type of yogurt that you want it to be optimized for. 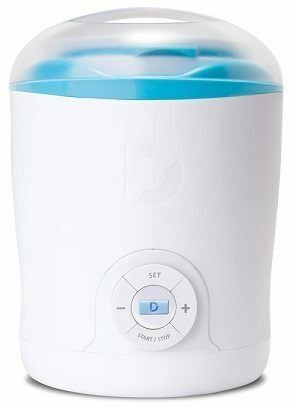 Today, we’ll be looking at the Dash Greek yogurt maker. Since Greek yogurt and regular yogurt have different steps to be taken during preparation, you will find that it is a lot easier to use a product that was made for that type of yogurt. Some models are a little more versatile, but few of them can work as smoothly as a purpose-built model. Finding the right yogurt maker can have a range of advantages, such as improving the taste of your yogurt, allowing you to make unique flavors, and even costing you less money. Yogurt is always a healthy snack that helps promote digestive health, and being able to tweak your yogurt to your liking is nearly priceless. Of course, you will want to avoid ending up with a yogurt maker that is less than capable as many things can go wrong in that case. At the very least, you may find that you wasted your money on a product that doesn't even make good enough yogurt, or perhaps it is too unreliable. A better yogurt maker will make things easier for both advanced and beginner users. In fact, if you are just getting started with making yogurt, we would highly recommend investing in a quality yogurt maker just to improve your experience and make you more likely to use it. 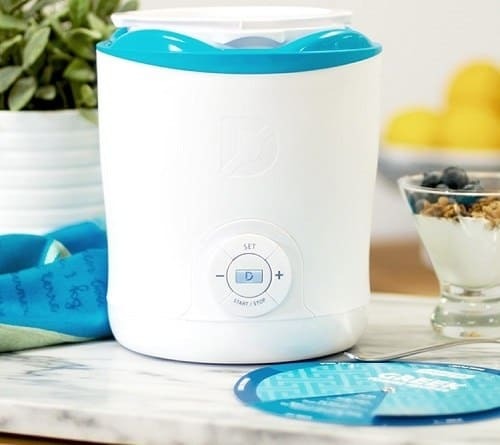 Before we get to our review of the Dash Greek yogurt maker, we'll be going over a couple of characteristics that are important to search for in any yogurt maker model. Of course, if you would instead get right down to the review, you can always skip ahead to it. One of the more crucial things that you should consider is how reliable the yogurt maker that you want will be. A more reliable product may end up working for years while others may only work for months before breaking down. A reliable yogurt maker is one that is well worth the money. In fact, you may end up saving more money over the long run since you won't have to continuously replace your yogurt maker with another cheaper model. Over the course of a few years, you will find that the costs of all those cheaper yogurt makers may stack up and it could even cost more than a high-end model would have. Another critical characteristic of the ideal yogurt maker is whether or not it makes yogurt that tastes good. You won't find yourself using your yogurt maker very often if it makes yogurt that tastes substantially worse than anything that you will come across in stores. Of course, there is more to this than the machine. Aside from ensuring that you use a quality yogurt maker, you will also want to try and refine your recipes so that the end product tastes better. Some yogurt maker models come included with recipe books and guides on how to get started making your yogurt, allowing you to refine your yogurt recipes. The Dash is one of the more recognizable products in this category due to its sleek, modern look and its recognizable name. Can this more affordable model hope to compete with some of the more advanced Greek yogurt makers that are on the market? Let’s find out right now. If you are looking for the easiest way to make Greek yogurt, then this model from Dash is an excellent option. Along with making the process simpler (even for beginners), you will find that this Greek yogurt maker provides much more value for money than the competing models. The combination of this product’s low price and ease of use help make it one of the best Greek yogurt makers, but there is more to it. This model comes equipped with a digital timer that uses an LCD screen to make sure that you can see how much time is remaining at a glance. The Dash even features dishwasher-safe parts so that you won’t have to clean the whole appliance out manually once you have finished making your yogurt. Of course, we also have to address the matter of how the yogurt tastes, and you can rest assured that it is delicious. Most buyers were impressed by how easy this product is to use. 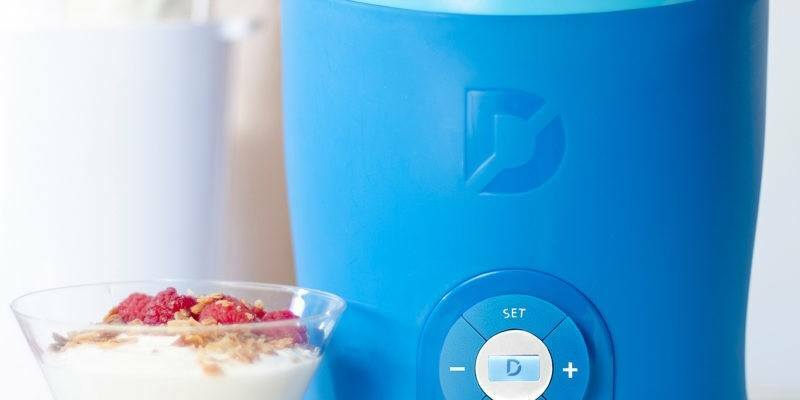 Many customers purchased the Dash as their first Greek yogurt maker, and they mostly expressed surprise that making yogurt could be so simple. The Dash has also been praised for its modern aesthetics and sleek look. Of course, as with any product, you will come across some negatives. Some reviewers criticized the Dash for being less versatile than the competition. 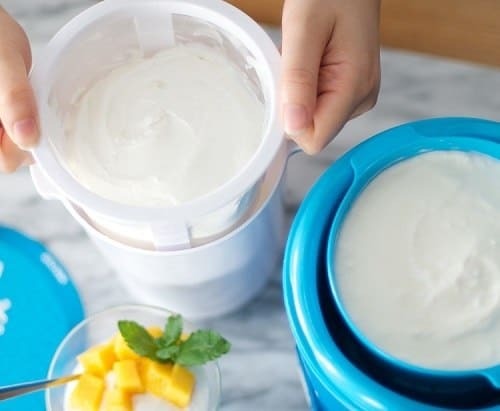 While this yogurt maker is ideal for Greek yogurt lovers, you may wish to look into something else if you want one that is optimized for regular yogurt too. You will find that this Greek yogurt maker usually sells for around 30 to 35 dollars, making it one of the best choices for those on a budget. Even though it is affordable, the Dash is highly capable. We hope that this review has managed to give you an idea of what you can expect out of the Dash Greek yogurt maker. Feel free to leave a comment down below and let us know what you think of the product and our review.